The concept for Dog Day Getaway began when two aspiring entrepreneurs finally decided to escape the tedium of their everyday jobs and do something they truly loved for the first time in their lives—playing with dogs! It was this love of dogs, combined with their desire for independence, that made them see a new way to enjoy life, help their favorite four-legged friends and make a positive difference in pet owners’ lives all over the area. Turns out, all you need to run a business is a little ingenuity, a lot of love and some furry playmates to join in on the fun. What once began as a small venture for two young ladies has since grown into the DDG you see today—a 12,000 sq. ft. facility that accommodates fabulous companions of all shapes, sizes, colors and breeds. Today we feature large, interactive play areas – both indoor and outdoor, an event area area, full service and self-wash baths, and spacious, comfortable bedrooms that are all designed for your special friend. Though we’ve grown in size, both in staff and services, there remains a singular driving passion that unites us all—we love dogs. We love everything about taking care of them, be it feeding, pampering or snuggling; you name it, we’ll be there to offer your pet the best. We believe that watching, bathing or playing with your best friend makes us more than just a kennel or a daycare; we’re a friendly home to animals because we love your dog like you love your dog. We specialize in what we do because we are dedicated to ensuring your pet is comfortable, happy and content. Whether your dog is with us for an afternoon, or while you are on vacation, each of our trained, professional staff will ensure your dog gets the very best care possible. From playing chase to belly rubs to tucking them in at night, we want both you and your pet to feel confident in not only what we have to offer, but who we are as dog caregivers. 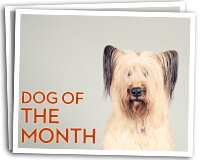 To prove that, each of our staff are trained to ensure they meet your rigid standards as a pet owner. Come by Dog Day Getaway today and experience the difference for yourself, or call now to set up an appointment and let your dog judge us for him or herself. 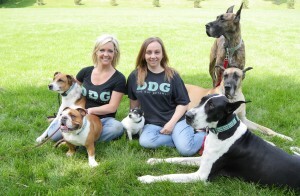 <a href=”https://dogdaygetaway.com/contact-us/”>Contact Us Today</a> to Learn about DDG!